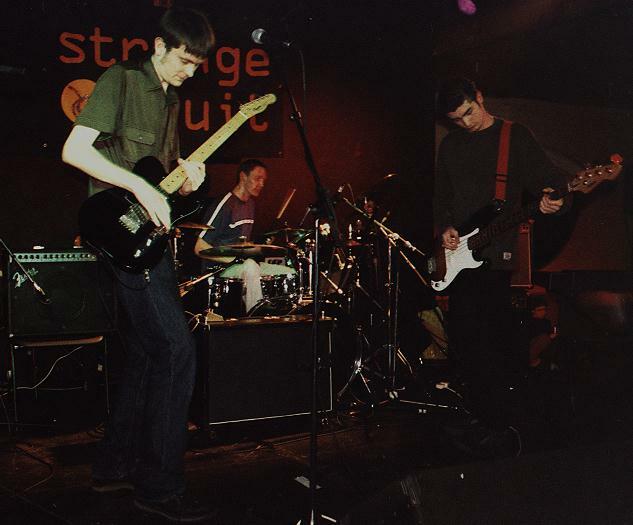 Tempertwig (1999-2004) were a three-piece from South London. They featured Ben and Adam Parker of the groups Nosferatu D2 and The Superman Revenge Squad Band. Trading on a downtuned rattle of noise, and Ben’s fractured streams of consciousness that rifle through the detritus of living. Just moving into Spring. So starting to get more pleasant. Lyrics start as random thoughts that come from anywhere (e.g. conversations overheard, interior monologues triggered by awkward situations, frustrations with musicians I usually like, terrible films). Music comes from fiddling about on the guitar. I went through a brief period of liking football, and bought the Anfield Rap on 12″. I don’t own it anymore. Only time that comes to mind was when I saw Noel Gallagher at a gig. Wasn’t an Oasis fan at all, but it was when they were absolutely huge so it was more like standing next to a cartoon character or something. More recently, Adam and I stood next to Thurston Moore at a J Mascis gig; didn’t speak to him of course. They do seem like a constant reminder of an unjust society, but where would they go? I’d be me but without a guitar. The Stand by Stephen King. I used to read him loads when I was at school, then not at all when I went on to study English Literature at university, then I reread a few of his books a few years ago and his style of writing is so strangely comforting, like putting on an old pair of shoes, or a nice refreshing cup of tea. I suspect I was quite forgettable. In my house the music scene is driven by my two-year-old son, so “the wheels on the bus” gets a regular airing. He has a little guitar that he “plays” along with me, but he seems a lot more avant-garde than me currently. When he was first born he seemed strangely attracted to the Cannonball Adderley Quintet, which was nice. There was a gig that Adam and I played as Nosferatu D2 in Camden somewhere and, although it was pretty quiet, I remember finishing and thinking that we were pretty good that night. We played bigger gigs but for some reason, that one stands out. Always really liked Regret by New Order. That comes to mind at the moment. Never had a tour van. Back in the tempertwig days I used to have two cassettes in my car that were recordings of the beginners guide to reggae with Mark Lamar taped off the radio – listened to them so much they broke. Dunno. I’ll let the director choose and then complain at the premiere. Got the Time by Anthrax. It’s recent but really old. An younger version of me that I can barely recognise in places. Just a nice jam with Duke Ellington, That would be an experience.